FRIDAY SEPTEMBER 14th SALMON BEING CAUGHT MOSTLY AROUND THE MOUTH OF THE HARBOR MORNING AND NIGHT SOME DAYS BETTER THAN OTHERS. SPOONS AND CRANK BAITS STILL THE BETTER BAITS BUT GOLDEN ROACHES (shiners) & SPAWN STARTING TO GET STEELHEAD & COHO. A FEW PIKE MIXED IN WHILE CASTING FOR THE SALMON. I WAS TOLD THERE WAS A FEW PERCH. SMALLMOUTH STILL AROUND ALSO. AS ALWAYS CALL FOR YOUR UP TO THE MINUTE REPORT WE TELL IT AS WE HEAR IT. 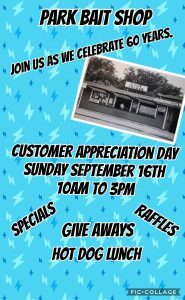 DONT FOR GET TO COME OUT THIS SUNDAY THE 17 th FOR OUR CUSTOMER APPRECIATION DAY 10 am TO 3 pm. 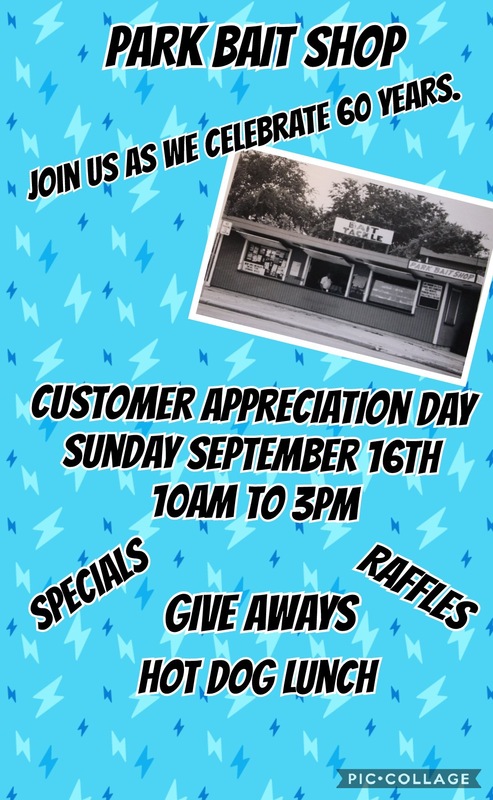 HAVE LUNCH AND A GOOD TIME ON US. ALSO SUPPORTS A GREAT CAUSE, HVGF (helping veterans go fishing).